Singing is fun, but do you want more? 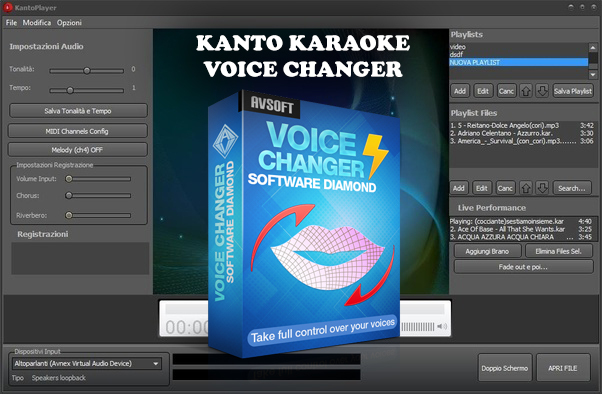 Then you can sing karaoke online with Kanto and a Karaoke voice changer, the perfect combination for a fun singing night. Read the tutorial to know how. 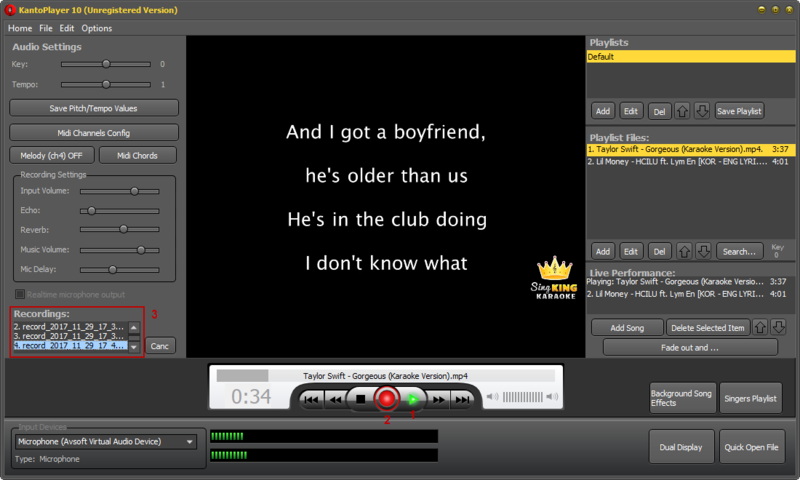 This is a Karaoke software that can help you sing karaoke at home with friends and family, the Karaoke Player & Recorder designed for professionals. The Live Performance feature indicates (in real time) the song that is currently playing and those that will be played after. What is Karaoke voice changer? 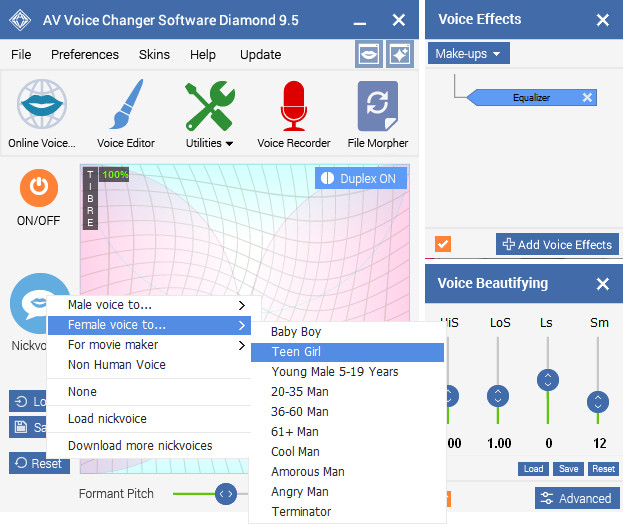 The software that we will use is called Voice Changer Software Diamond. And did you know? Actually, this software is reviewed really good and can be considered as the best in the voice changer market. 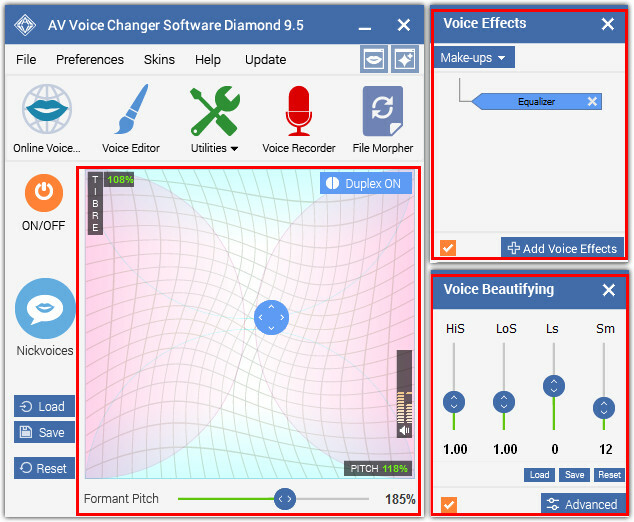 You can change your voice in real time, and connect to various software as well as platforms such as Skype, Viber, Kanto karaoke and many more. Moreover, this is the all-in-one voice changer that contains all of the features you will ever need. You can also edit and morph vocal of audio files, convert file formats, cut, mix music and many assisting features. Read more. - In the VCS Preferences window, choose Virtual driver Mode (1). 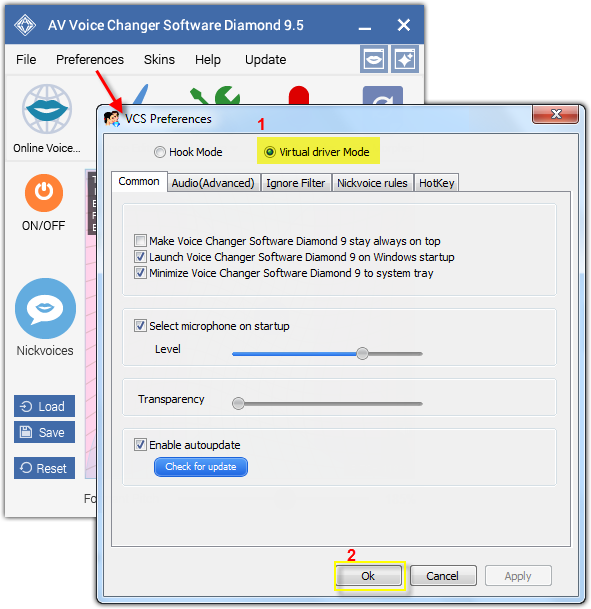 In order to change your voice in Voice Changer Software Diamond, simply choose a Nickvoice. If you want more options to adjust the voice? - Voice Effect to add more voice effects, background effects and many others to your voice. - Voice Beautifying to enhance the vowels and voice quality. - Start Kanto Karaoke Player. - At the bottom left corner, find Input Devices section. - Select Microphone (Avsoft Virtual Audio Device) as the input device. - Select a song on your playlist and press Play (1). 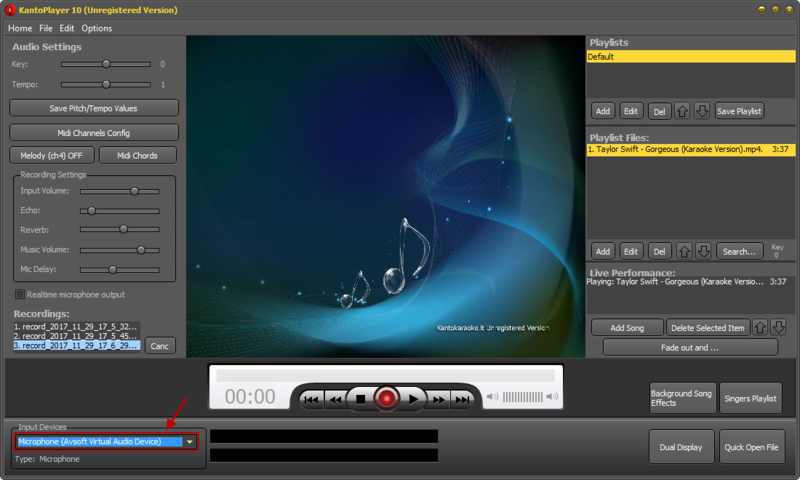 - Click Record (2) to start recording and click on it again when you finish. - The Recordings section (3) on the left side will list all your records. Double-click to find where they are saved. That's just how simple it is. Have fun with your karaoke singing.